Santa Clause made an early visit to my home this week. 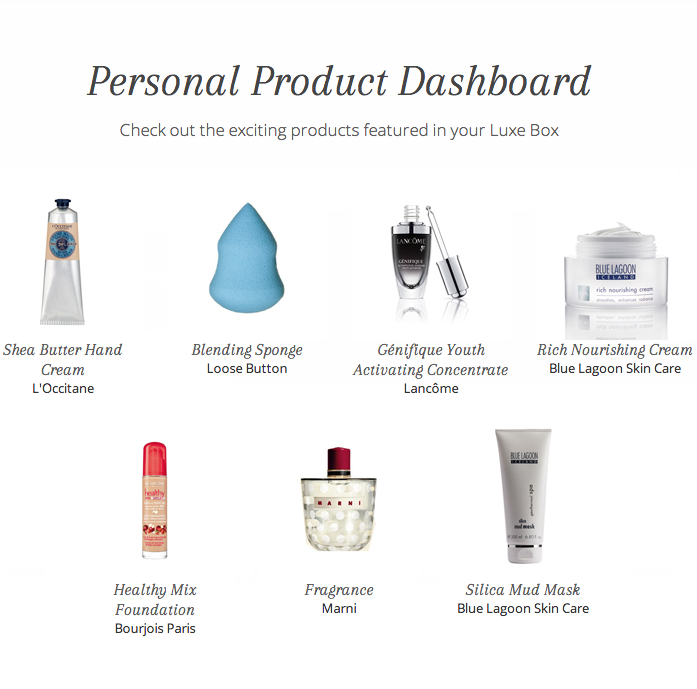 Most likely by a special request from Sally Hansen and Coty (the Parent Company). Anyways, it was amazing to be greeted with a gift bag full of goodies. 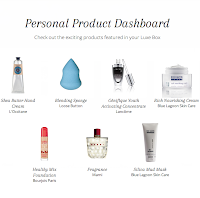 But in all seriousness, I was asked by Coty's PR company if I was interested in checking out samples and products from Coty. Without a single ounce of hesitation, of course I said yes! The above nail art was done using the nail art pens provided by Sally Hansen. This was my first time using nail art pens and I highly recommend it for beginner nail art enthusiasts. It is very simple to control. The goody bag was filled with assorted products from nail art tools to nail polishes that will be in Sally Hansen's 2014 collection. 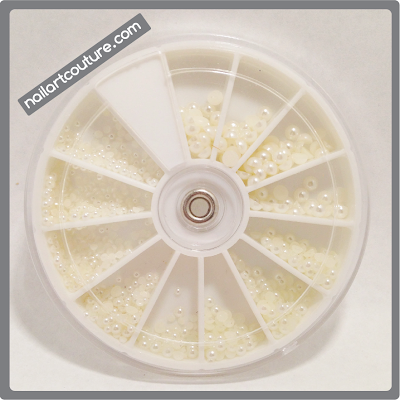 Want to know what the Sally Hansen Santa gave me? Check it out after the jump! So I'm playing catch up with some of my reviews. This set of varying sized pearls was provided to me by Born Pretty Store back in June. I got this at the same time as the multi-colour pearls, which I provided a more punctual review in mid-June. Anyways, up until end of October has been very hectic for me, but I'm glad I have a little more free time to do some nail art. 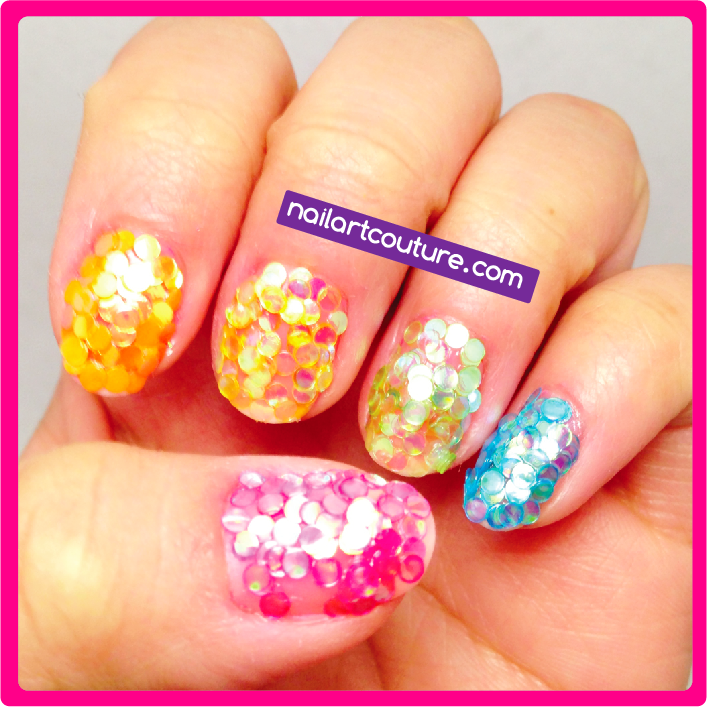 If you have never heard of Born Pretty Store, they are an amazing e-commerce store with an abundance of nail art products, as well as jewellery, make-up, and so on! You can literally spend hours on the site because they have so much variety. 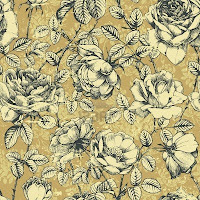 This site sell their products at whole sale prices so you can definitely get a lot of bang for your buck. 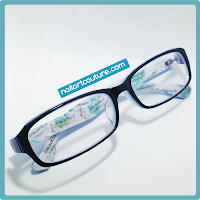 Also, they offer free worldwide shipping without a minimum purchase order! The products ships from Hong Kong and I received it within two weeks time but it may vary from location to location. 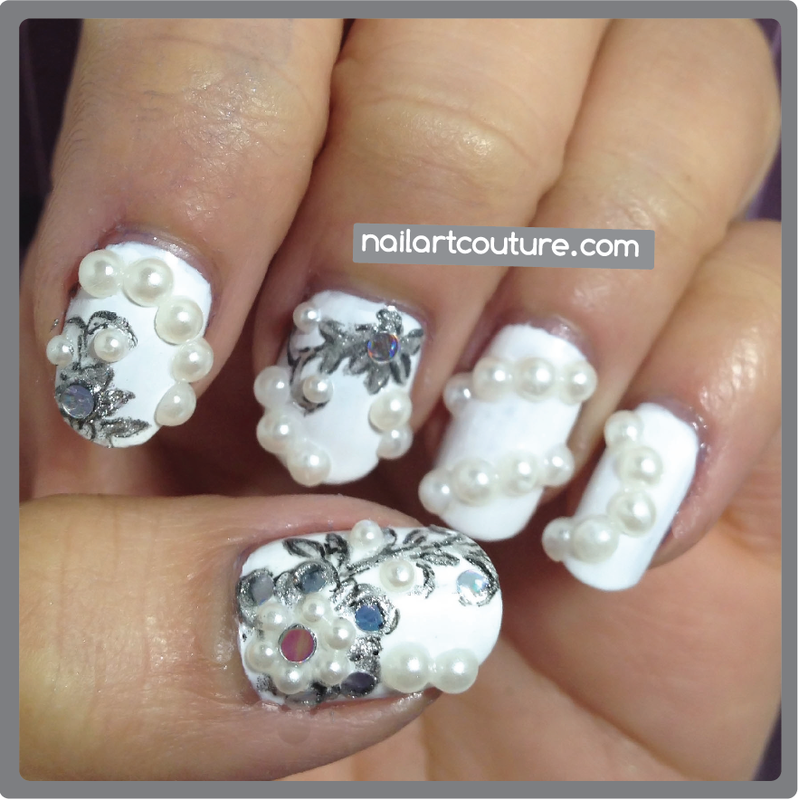 Along with the multi-color pearl, I received this product known as "3 Sizes Nail Art Baby Pearl Rhinestone Decoration + Wheel". You can buy this product for $4.14 if you buy one. But if you or your friends decided to get 3 or more, you get a small discount! Also, if you use my code NVL91, you can save an additional 10%! Hello everyone! Wow, it's been ages since I've blogged but life just gives you unexpected twists and turns. I've been on a completely weird emotional roller coaster ride that I've never really experienced in my life before, especially in such a short time frame. There were a lot of happy times but there were also a lot of frustrating and sad times as well. It was quite literally a full spectrum of emotions that stemmed from various different situations. I just found it so odd that these extreme highs and extreme lows came one after another. Going through some negative experiences and having things somehow work out is what keeps life interesting! I'm thankful that I have a lot supportive friends to talk to while going through these life events! I am an optimistic thinker and I am always looking at the brighter side of things. I always have faith that things will work out for me in the end. I am still waiting for some areas of my life to work itself out, but I'm excited to see what happens. The biggest change in my life has been my a new job. I now work for a media company where a lot of my program's alumni work so I felt right at home very early on. Anyways, I know I sound cryptic but that's just my little life rant to explain my hiatus from my blog. Now that I have more stability in my life again, I think I can get back into posting more frequently! 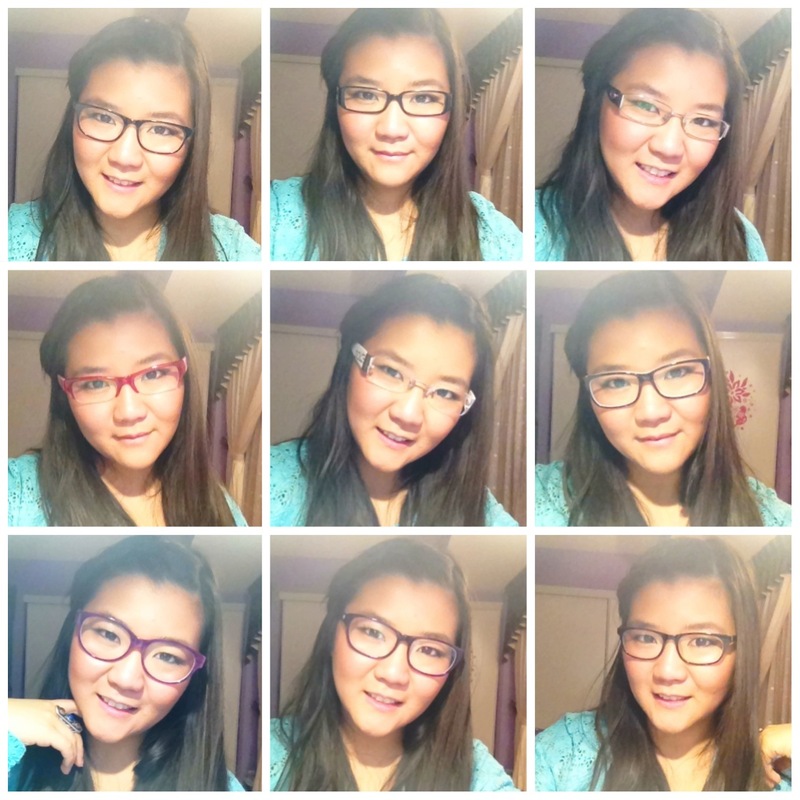 First up, my Firmoo Glasses review. I just want to apologize to Firmoo for my delayed review. They've contacted me back in September and have been patiently anticipating for this post. So here it finally is! 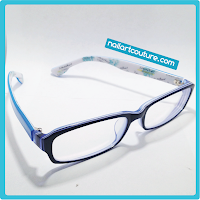 The glasses I chose were #CP6082 because of the blue details. If you have read my previous post, you know that I have a pretty extensive glasses collection and blue glasses was something I didn't have. 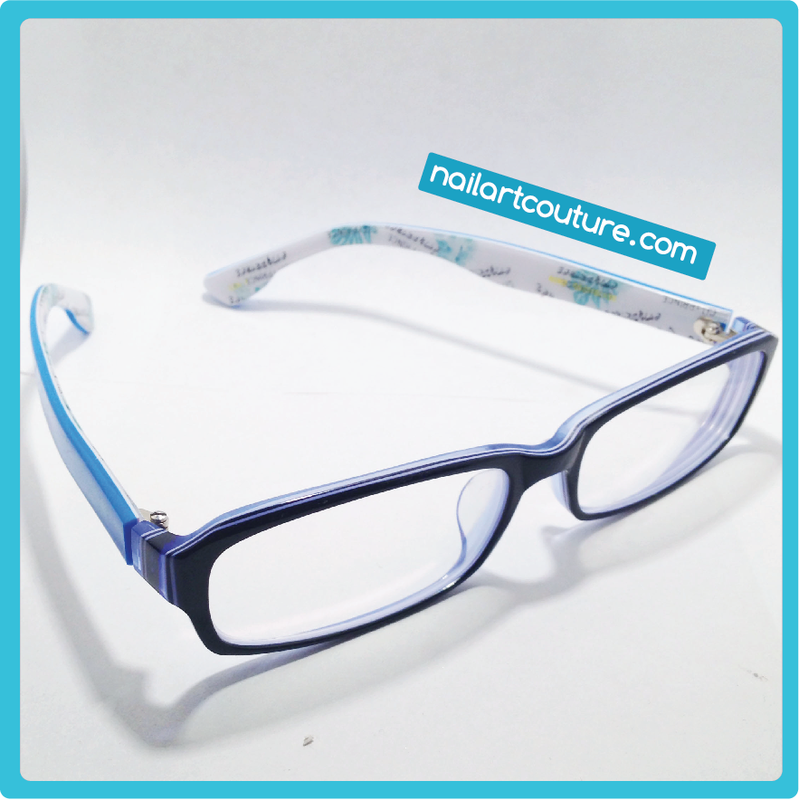 This glasses is perfect for people who want the classic look of black frames and be a little adventurous without looking ridiculous. 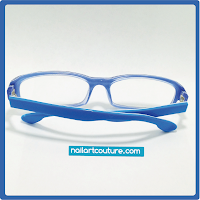 This glasses is $39.00 on their website, but Firmoo has a special promotion for new user where you can get your first pair FREE with the promo code: FIRMOOFREE. 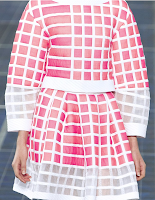 They have a lot of great options available, so feel free to wear something outside your comfort zone! So kids have their paper dolls and their plastic dolls, but for the young at heart, we now have what I would like to call "Nail Dolls". I browse through enough Instagram photos and nail art blog to know that it hasn't really been done. 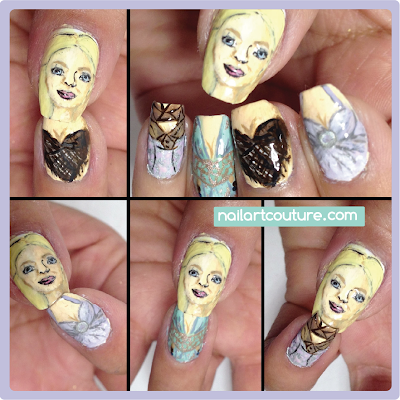 So a Nail Doll is a subset of the ever so popular "puzzle nail", where you put your fingers nails side by side to create one full image. For the nail doll, the head is painted on the thumb and the torso with the outfits are painted on the other fingers. 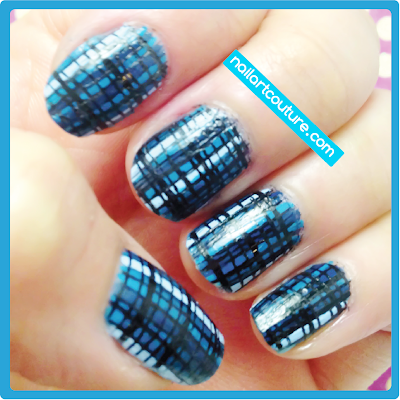 When you match up the nail tip of the thumb to nail tip of each finger, it would look like it's changing outfit. 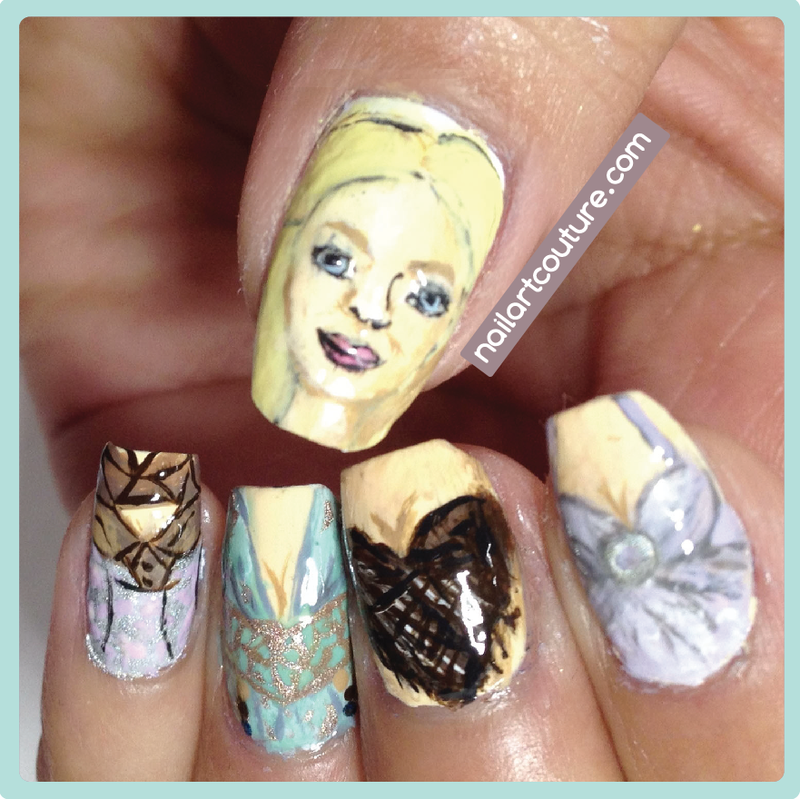 You can even paint the bottom half on the body on the opposite hand to make it look like a full body nail doll! I first came up with a nail doll design for Julep's Breast Cancer Nail Art contest. I knew I had to do it again since so many people liked it and eventually, I ended up winning the contest! 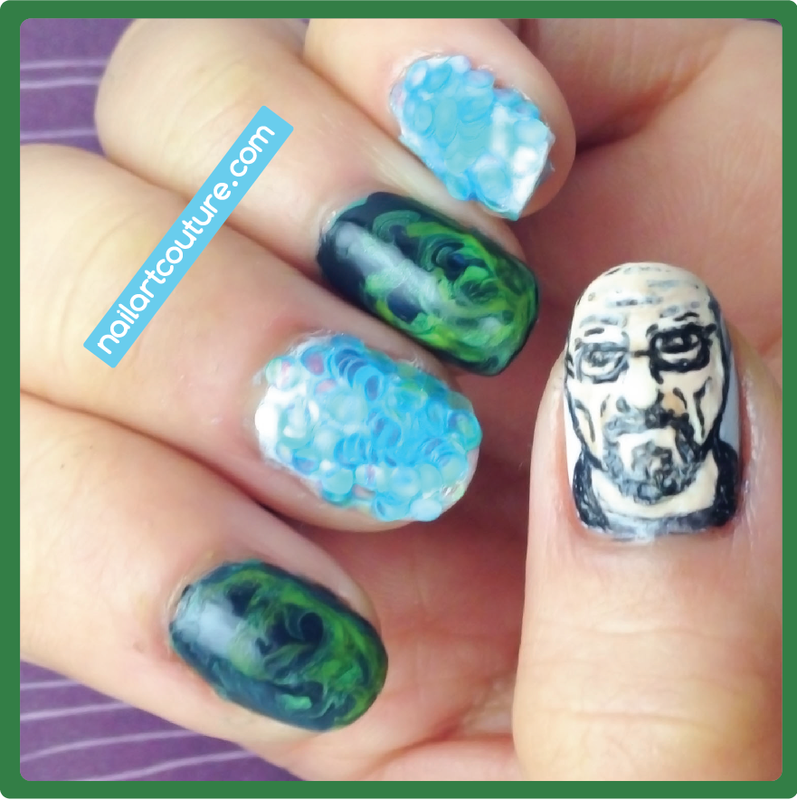 Just be warned, like anything you do, the more detail you put in to this type of nail art the longer it will take. I think I spent a good hour doing Daenery's face and another hour doing all the outfits. Yesterday turned out be a good time for me to do another nail doll design because I was sick and lost my appetite so doing nail art definitely made me feel a little better. It shifted my focus to something else. I wasn't so focused on my congestion, runny nose, and sore throat. When I get sick, it keeps me up all night and I feel like a train wreck the entire day. Enough of my rant, please enjoy my nail art! I love collaborating with BornPrettyStore.com, but unfortunately this time it didn't go as smoothly as before. Somewhere in the 3 to 5 week shipping, the product I requested got lost in transit. Daisy from BornPretty was extremely diligent and was quick to send me a replacement as soon as she heard that I have not recieved it. She even offered an extra product for me to check out. But the second shipment got lost in transit as well. Anyways, from this experience I can definately vouch for their amazing customer service. We've all heard that third time's the charm and indeed it is. I finally recieved my 12-Variety Studs Box. That's not the official name for it, but that's what I'm calling it. I think it summarizes what this box encloses pretty well. This circular container has a wheel cover with one opening, which allow you take out decals from one section at a time. 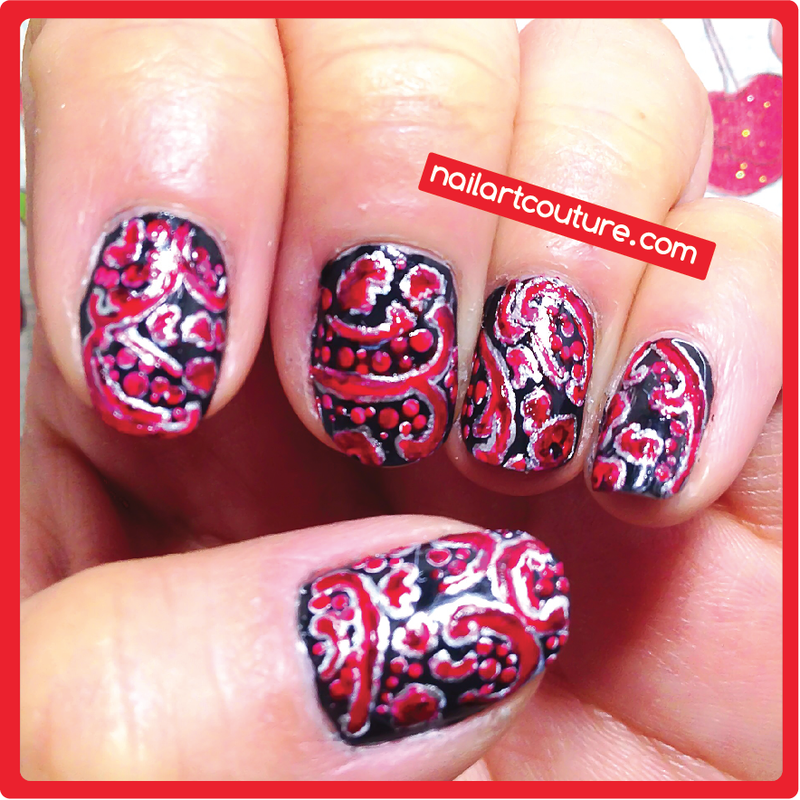 This is a very common container to hold tiny nail art items these day. This container hold 12 different types of studs that are either gold, silver, or black. This product sells for $4.89 for one and as you buy more the price decreases. 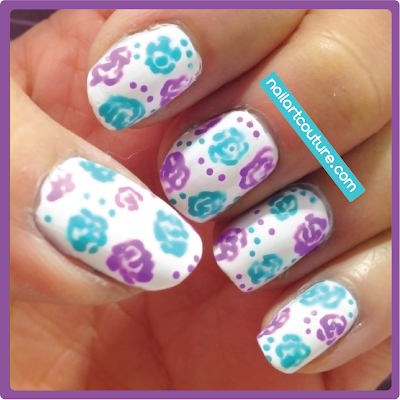 I've been to retail store that sell nail decals and it can go as high as $10! 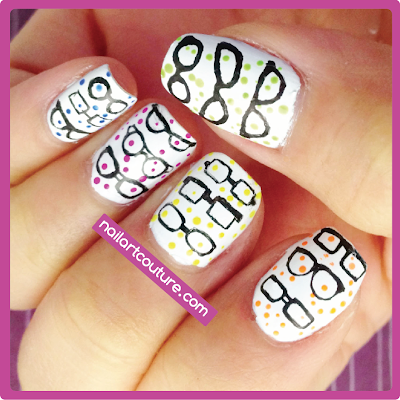 Born Pretty is definitely a great place to purchase inexpensive nail art supplies and shipping is free worldwide! Also, don't forget to use the discount code NVL91 to get an additional 10% off! 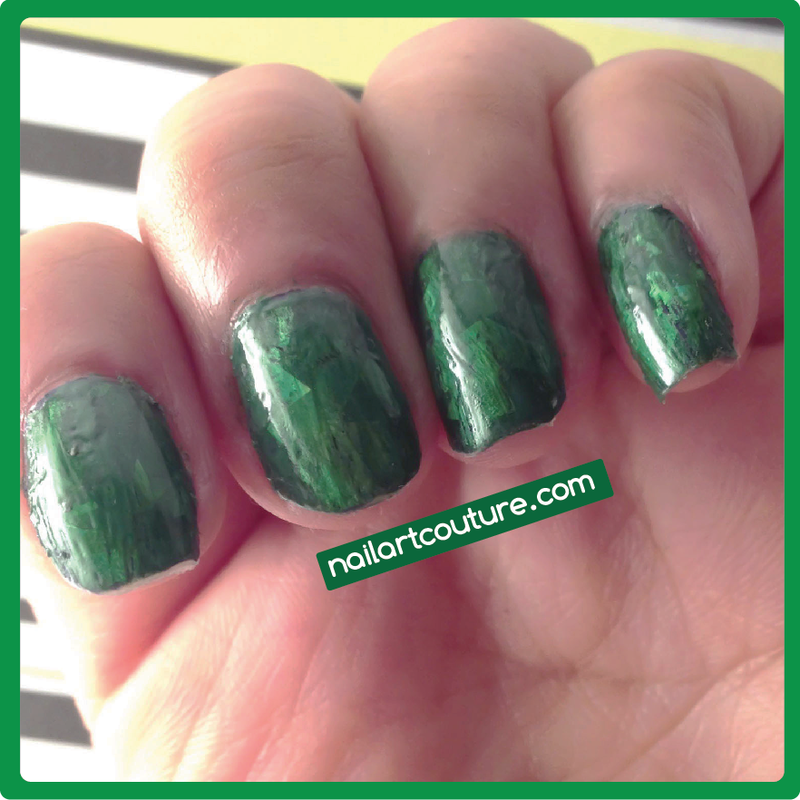 Ever since Emerald was announced Pantone Colour of 2013, I've always wanted to create an emerald nail art. I tried doing it by hand a while back, but I failed miserable. Brittany from Precious Polish actually did an amazing emerald nail art by hand. It is insanely detailed, so you should check her out. KKCenterHK contacted me about a month ago to check out a product of theirs. They are an online shop based in Hong Kong that sell false eyelashes, nail and hair products. 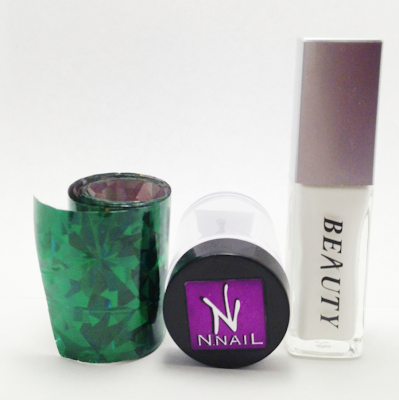 Since I never worked with foil before, I decided to choose their N.NAIL Green Diamond Hidden Nail Foil Transfer. They are sold for $7.69 for the foil and $12.00 for the foil and adhesive. There have 30 different foil patterns to choose from. Another favorite of mine is the Bubble Drop and Galaxy Diamond pattern. The foil comes in a very long roll. It id 150 cm or 59" in length and 4 cm or 1.5" in width. If you're not wasteful with the product and use just the right amount, this roll of foil can easily cover more than 50 nails. The bottle that holds the foil adhesive is about 7 ml so this could last for a while as well. 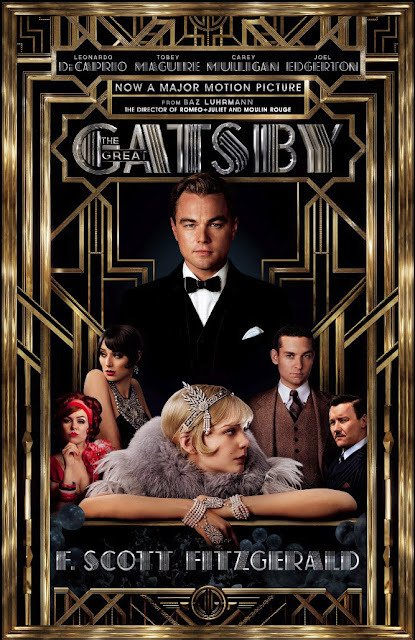 The Great Gatsby is out this week and I am in awe by how visual the movie is. I am definitely looking forward to watching it! Because of this movie, the roaring twenties fashion is coming back to style. I definitely love the aesthetic, but I bet is because the movie makes it look so good! I haven't had the chance to read the book, but I want to watch the movie first. Most people are always disappointed by the movie after they read the book. So hopefully since I have no expectation for the movie, I can enjoy it for what it is. 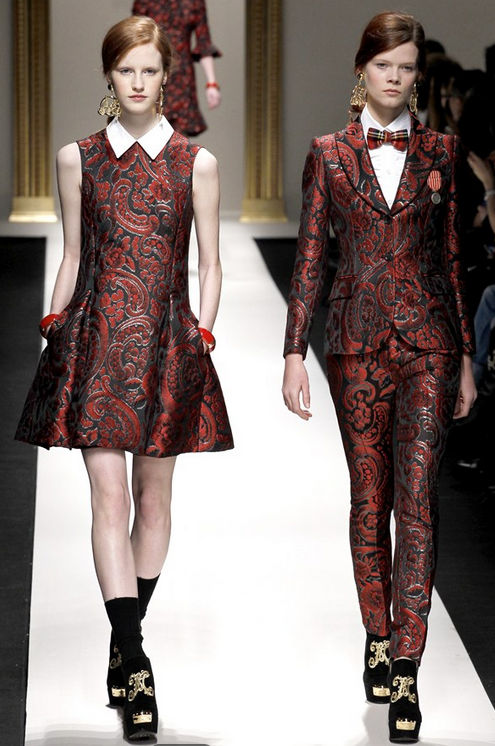 I can't wait to see all the fashion and the glitz! To commemorate the opening of this movie I decided to create The Great Gatsby inspired nail. 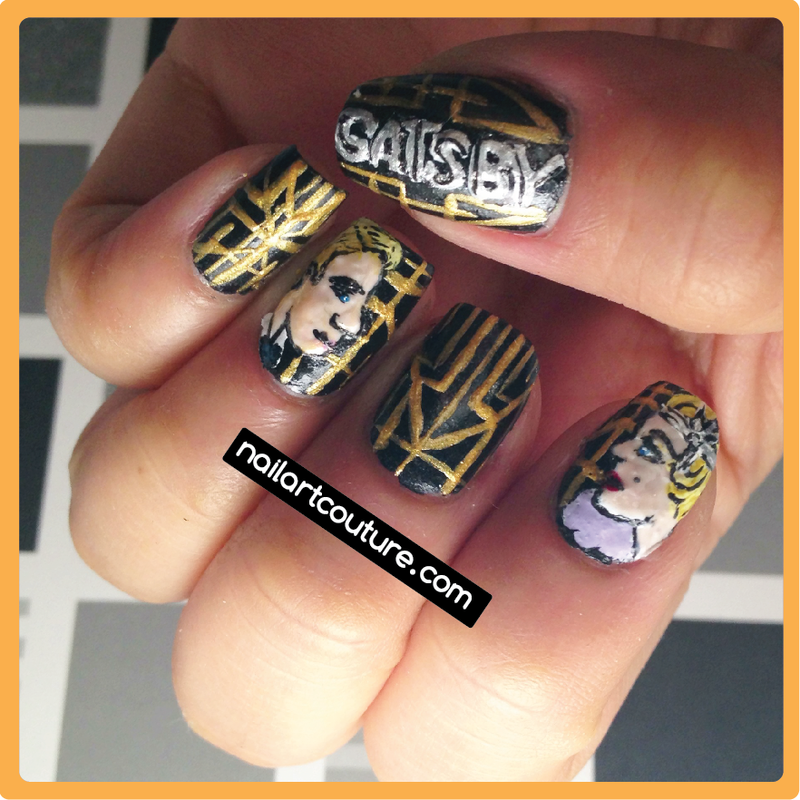 This nail art is inspired by the movie poster. I tried to recreate Daisy's (Carey Mulligan) profile with her gorgeous headpiece from the movie poster. Then I improvised Gatsby's profile. I think it turned out pretty well! For more pictures, check it out after the jump! It finally feels like Spring, even though it's still on the colder side. I'm excited for Spring because next up is Summer! 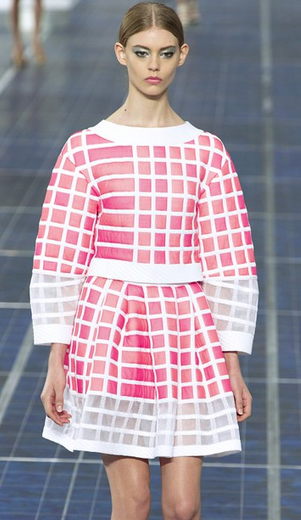 Time to pack away the dark colored sweater and bring out the bright color dresses! 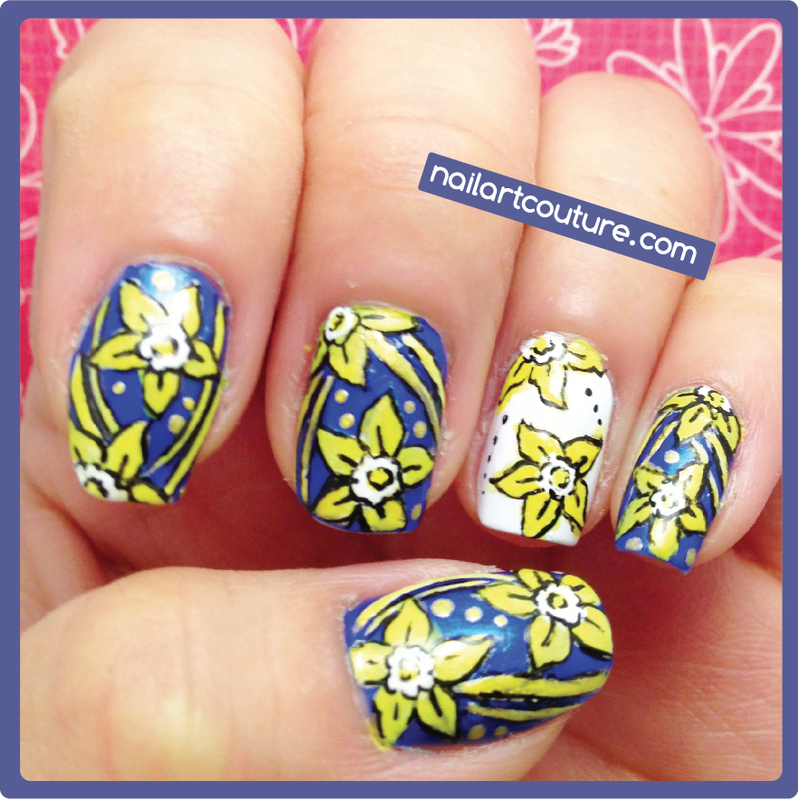 I'm getting really picky with my nail art inspiration, which is why I haven't blogged too much this month. But anyways, I finally encountered something I really like. 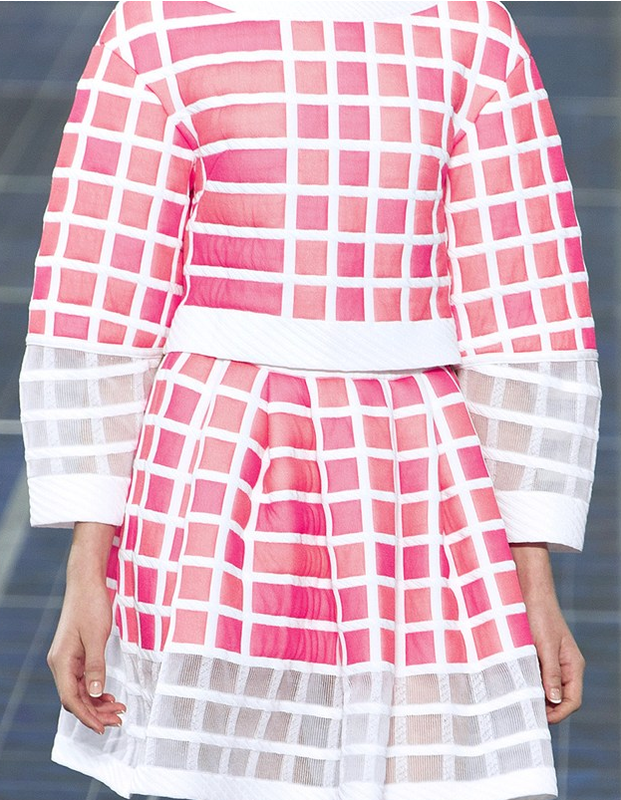 This nail art inspiration is from Diane Von Furstenberg Spring/Summer 2012 Collection. Yeah it's an oldie, but it's so colorful, gorgeous, and fun! Anyways, I hope you like it! 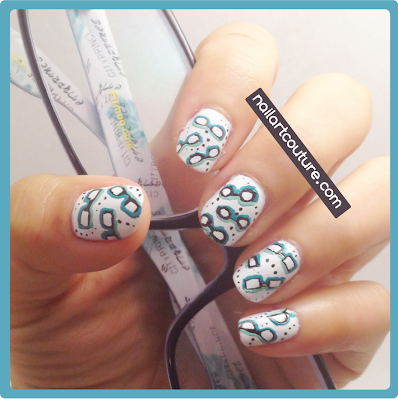 This will be a two part blog today with a review and a nail art tutorial using the products. 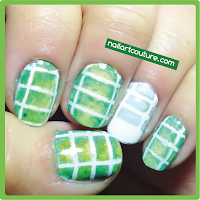 I haven't done a fashion inspired nail art, so I figured it is time for one! 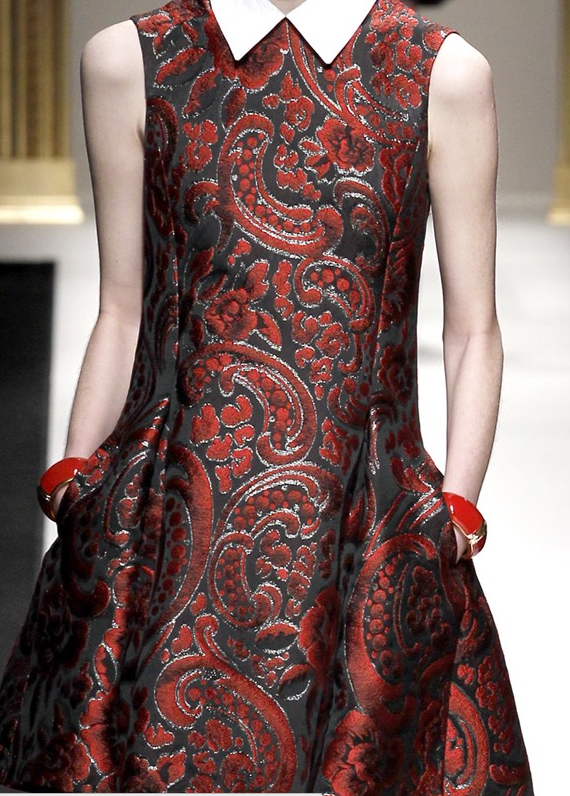 For more information about the review and my inspiration, just keep on reading! The other day, I received a package from Born Pretty Store with the two items I chose to review. 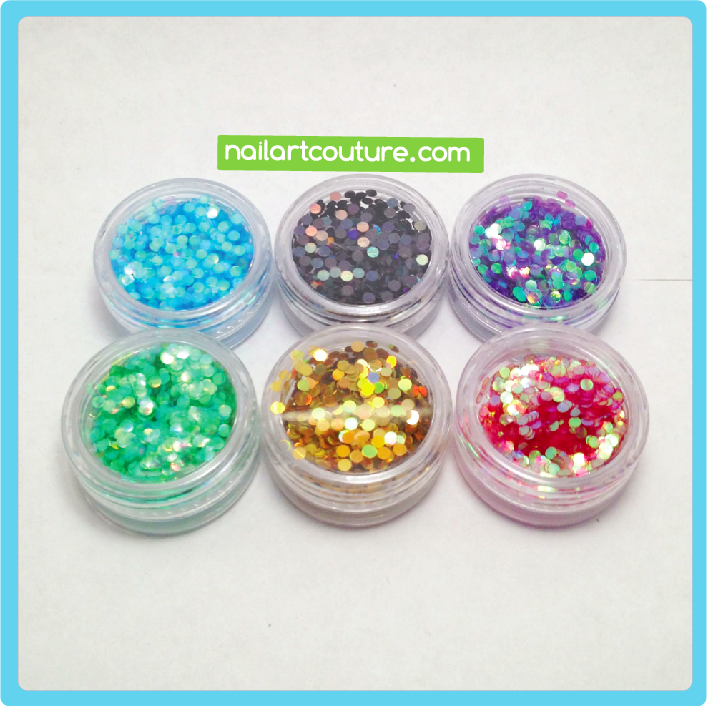 The first product I chose were the 12 pack Rounded Glitter pots. The second product was a set of nail art brushes. I chose nail art brushes because the one I had before are fraying out and I just needed a new set. 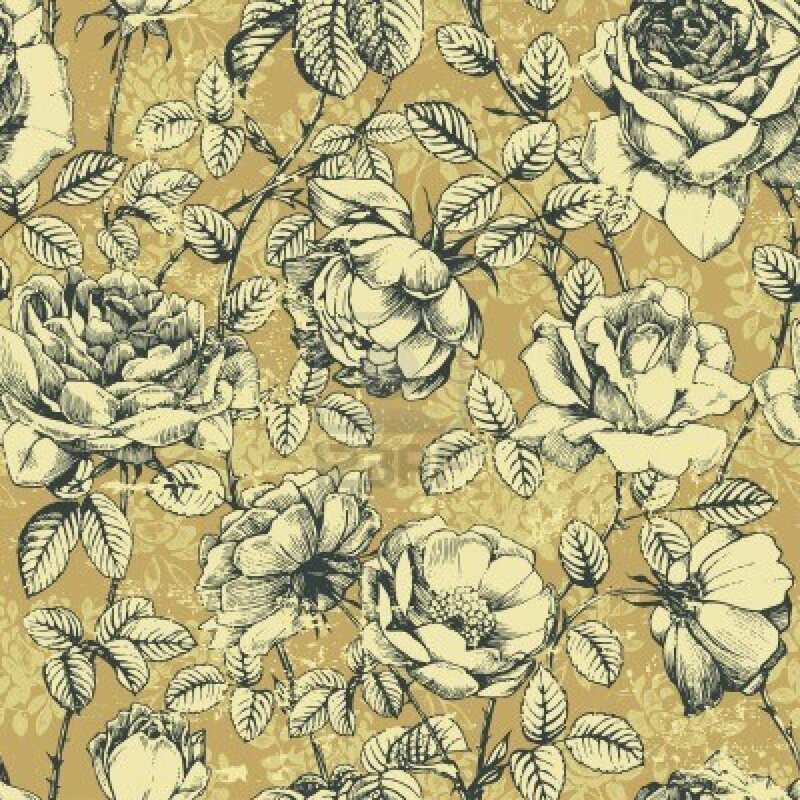 The one I originally wanted were unavailable, so these were my second choice. Just a precursor, I ended up being pretty happy with set of brushes. These set of nail brush cost $3.51 and if you buy more, you drive the cost down per a set. Plus if you use the promo code: NVL91 you get an additional 10% off! Obviously, the first thing I liked about this product is the inexpensive price. The ones I see in nail art supply store cost an upward of $5. The second is the variety this set gives me from thicker tip to extremely fine tip. 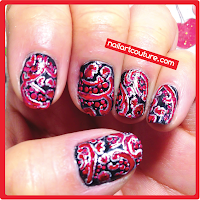 If you have been following my nail art for a while now, you know how I like my intricacies and details! So the extremely fine tip is perfect for me. The thickest brush out of the set is called "0", while the thinnest one is "0000". The brush comes in Maroon, Light Blue, Navy Blue, and Yellow. In the picture above, it gives you an idea of the thickness of each brush strokes but I think the dotting gives a better representation of the brush since it shows you how fine the tips are. But remember, the stroke thickness also depends on how much pressure you apply when you create the lines. Shout out to all my fellow Chinese Lacqueristas out there! 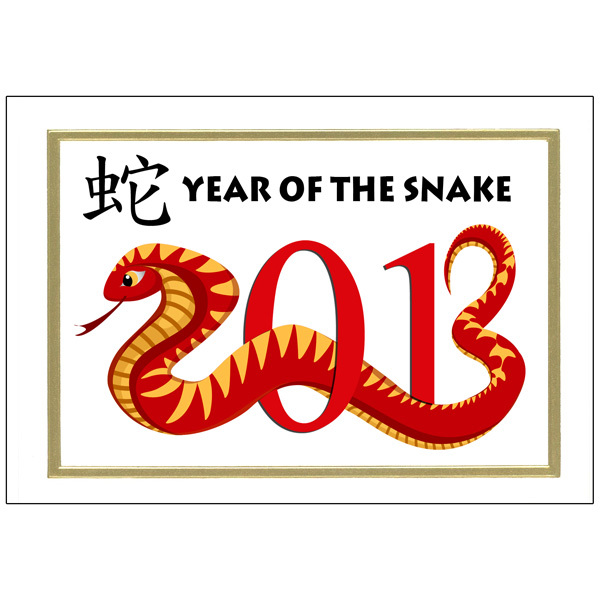 Tomorrow is our official Chinese New Year, so I hope your day is full of amazing food and company. I have a lot of precious Chinese New Year memories growing up in Sudbury like performing some traditional Chinese dances with my group of friends. We've done the Fan dance, Sword dance, Ribbon dance, Lantern Dance, and so on. It was a lot of fun! When I was little, the Chinese New Year event was primarily attended by just Chinese people (no duh!). But I went to one a couple years back and I saw how much it changed. Caucasian couples who adopted Chinese girl bring them to the event to get them accustomed to their native culture and perform the dances that I use to do, people are bringing their friends from different backgrounds, and so on. It has definitely become a lot more multicultural, which is really lovely to see. I definitely miss the lucky draw at the end of the night, every year I always win something! Here in Toronto, I haven't really found a "Chinese community" that host events like this. So tomorrow, I'm planning to head to Markham to eat some Peking Duck with a close friend of mine. I am actually looking forward to that! 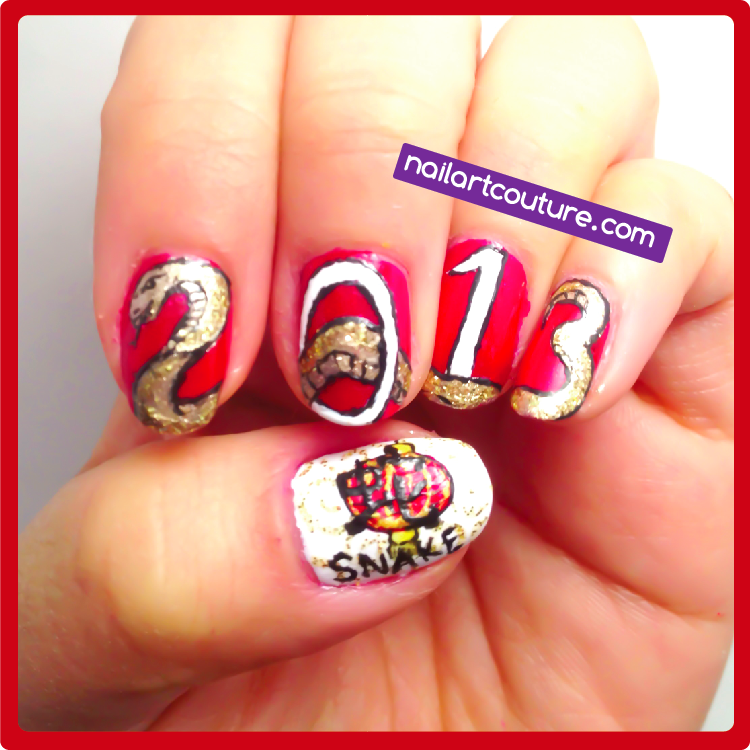 Anyways, in celebration of the year of the snake, here is my Chinese New Year inspired nail art! I was inspired by a couple of image that I googled and I just made it my own. 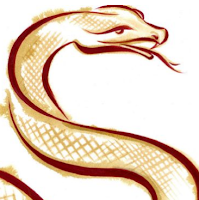 On the thumb, I did a traditional Chinese lantern, with the Chinese and English word of "Snake". For my second nail art for the Valentine series, this is my Valentine's Ombre Pop Art Nails. I wanted to do some ombre nails with a Valentine twist, and this was what I came up with. This can be easily done free hand, but I had a nail art image plate to speed up the process. For those who are in Southern Ontario, I hope you enjoy the oh so wonderful snow. We hardly had any snow all December and January, now, it all came at once. We got two months worth of snow today! Luckily for me, my boss called just when I was about to head out and told me to stay in. My first Snow Day from work! Anyways, on a brighter note, Born Pretty Store sent me two more products to test out, the glitter pots and nail art brushes! 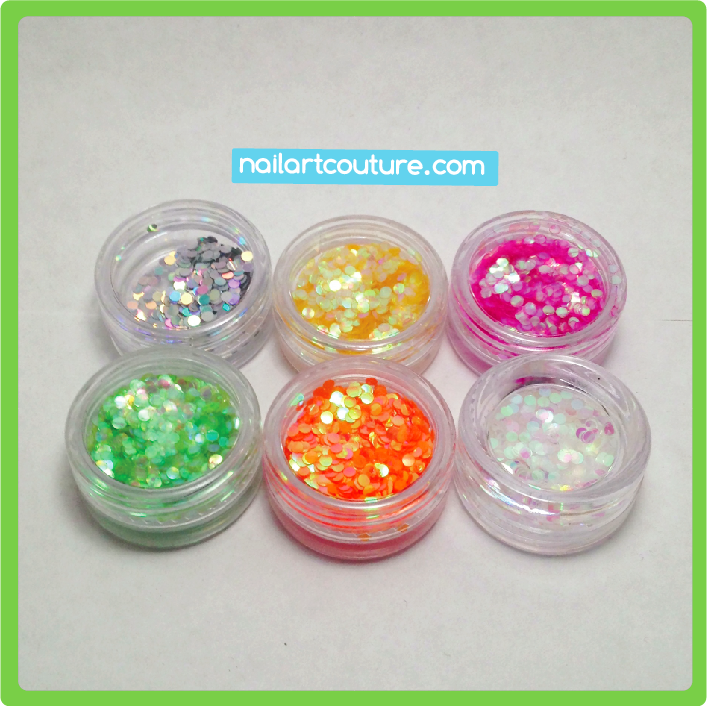 The glitter pots come in a package of 12 for $7.60 per package (about $0.63/pot). As always with most of their products in their online store, if you buy a larger quantity, it drives the cost down per item. I truly believe this is best place to buy all your nail art needs because they have a huge variety at a very affordable price! I've been to a couple nail supply store and one pot of glitter cost about $1 and it's usually half full. 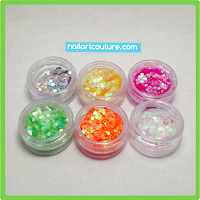 The 12 glitter pots come in silver, yellow, hot pink, lime green, orange, white, blue, black, purple, dark green, gold, and red. 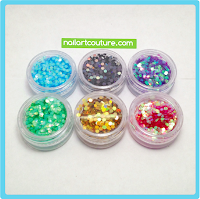 You can use them for accent nails, nail art decoration, and anything you can imagine. 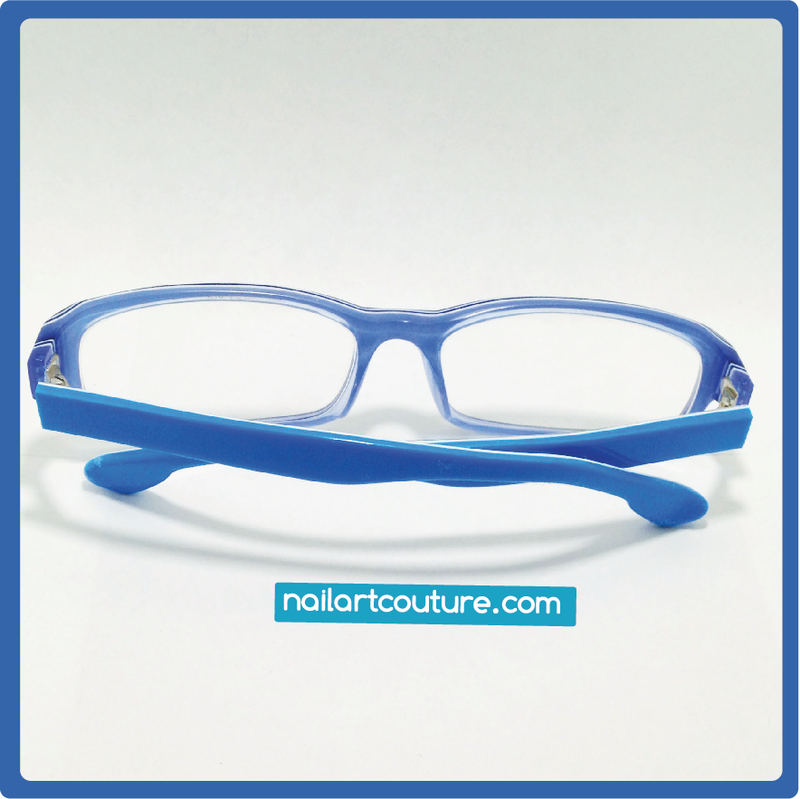 You can use with as a solid color, or create a mixture of colours. They're pretty fun to play with! 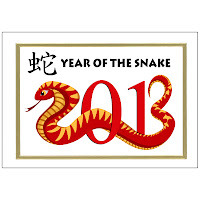 Wow, I can't believe we're onto the second month of 2013! 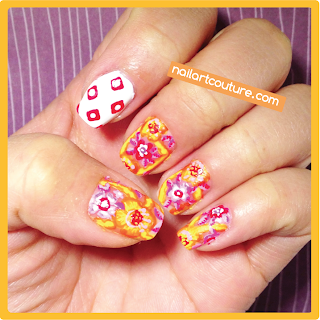 February is the month of love and I guess it's time for some lovey dovey nail art. This first nail art of the Valentine's series is yummy, colorful candy hearts. I did a variation of this last year and it turned out pretty well. So I decided to do a more refined version of it along with a tutorial. It's with a combination of stamping (to save time) and free-hand. I did two versions of it just to inspire a few options. You can definitely add to it!